Remember just last month when Mazda put their 25th Anniversary Miatas up for grabs and managed to pre-sell 100 models in less than 10 minutes? If you’re a red-blooded American Miata enthusiast who still desperately wants to get their hands on one of the 25th Anniversary Miatas, then you might want to consider getting a British passport because—surprise!—turns out that the 100 examples that got snapped up in May were approximately a tenth of the complete run. The only problem: the vast majority of them are only going to be available in the United Kingdom. In fact, there will be 1,000 examples of the 25th Anniversary Edition MX-5 built, because Mazda likes money as much as the next automaker of course. 750 of those models will be offered to customers in the UK, meaning that you might still be able to get one if you’re extremely resourceful. 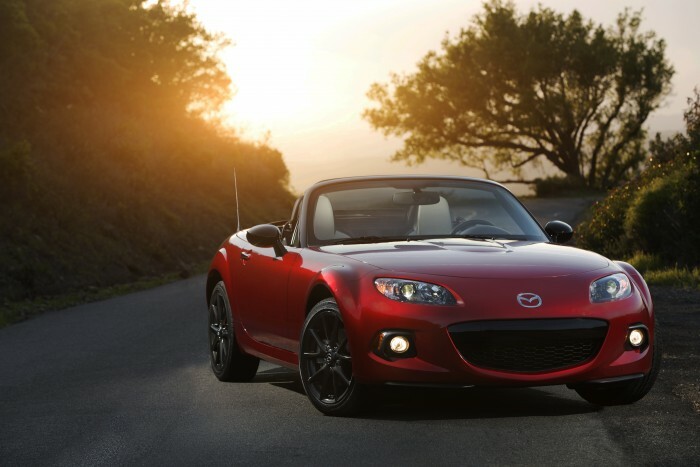 According to Mazda’s UK press site, 750 25th Anniversary Miatas will go on sale in the UK from August 1 at the price of £22,995, which winds up costing about $7,000 USD more than the 100 examples that were available to US customers. To entice potential customers, Mazda rolled the 25th Anniversary Miata out at this weekend’s Goodwood Festival of Speed. 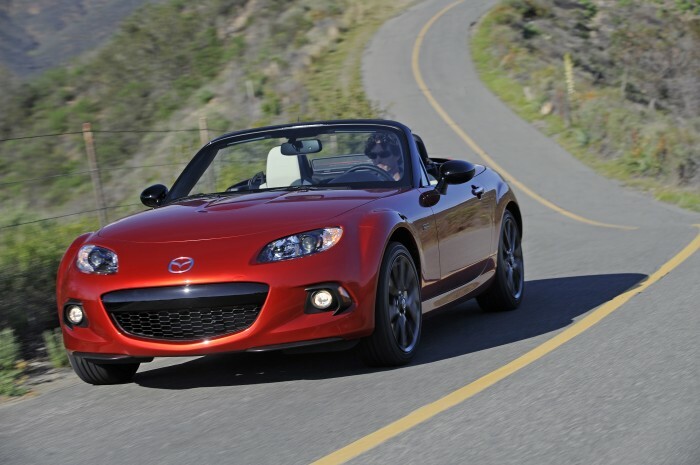 Theoretically, if you’re an American car buyer, you could still get yourself one of these wonderful Miatas. Imagine wanting to buy a popular toy around Christmas time and finding that the stores are all sold out. Then you log into eBay and see one right there, newly listed and waiting for your money, incredible markup and exorbitant shipping costs and all. It’s kind of like that, except you can’t get 136 mph out of a Furby.